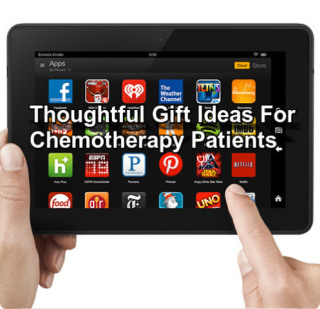 Or maybe you will want to offer a gift item for their chemotherapy sessions. Such a gift would be a thoughtful gesture, as chemo sessions can be long, boring, and/or frustrating, even though some treatment centers offer internet access and TV's at patient chemo stations. They don't have to be expensive; in fact some very useful gifts are not at all costly. Sound Blockers: Chemo stations are usually set up in a large room which houses several stations. You may only be separated from other patients by a curtain, so you can hear their conversations (yes, cell phone too!) and/or TVs whether you want to or not. These gift ideas help block out the sounds of others, so your giftee gets some peace. Entertainment/Enrichment gifts: Items to make chemo time mentally rewarding or challenging that don't require too much movement on the patient's part. Convenience aids: Items that can help make daily living a bit more comfortable and convenient for patients recovering at home. You know how the nurses tell you to make a fist before they draw blood from your arm? Well, actually, it would help you and them more if you exercise your forearms regularly when you are receiving chemotherapy. 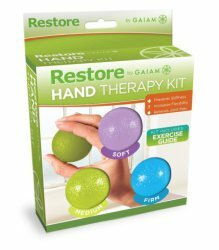 The Gaiam Hand Therapy Exercise Balls are a great way to improve hand strength and improve vein accessibility in the forearms just before a chemo treatment. Instructions are included. A compression sleeve stimulates circulation in the arm by applying consistent pressure to your veins. This, along with exercising, increases accessibility to the veins. 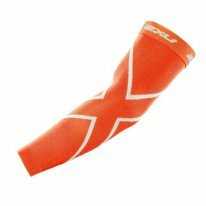 The 2XU Compression Sleeves come in several colors and sizes for men and women. Isontoner is known to offer a skin-tight fit in its gloves. The Isotoner Smart Touch Techstretch Gloves offer that nice tight fit, warmth, and a special 'techable' fabric in its fingers to enable you to interact with your smart phones and tablets and still keep your gloves on. Warm hands, great veins! 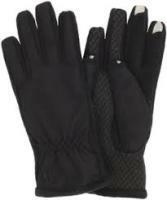 Women's gloves in several colors; men's in black and gray. These are a must for anyone who needs to block extraneous sounds and your chemo patient is probably one. 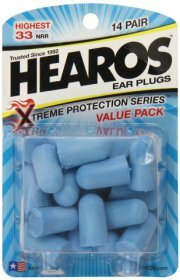 These pliable Hearos Extreme Protection Ear Plugs might not do the whole trick, depending on how loud the sound is, but they help a lot when coupled with a pair of headphones (below). 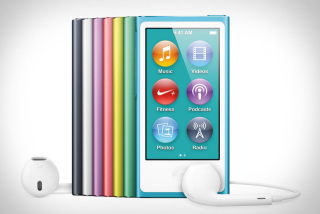 The 7th generation iPod Nano is the best iPod yet, and it's still affordable. I know this gift is quite a bit more expensive than a package of ear plugs, but it's a true performer and your friend will love using it whether in a chemo session or while doing a daily exercise routine. You can download music, audiobooks, and videos, or listen to a live FM broadcast. The iPod Nano has a nice long battery life and is easy to operate. Amazon Prime offers so much free music with membership. You can get a 30-day free membership gift for your friend or relative and then it's only $99 per year. It includes free music downloads, free video downloads, free Kindle books, free cloud storage for your photos, and two-day free shipping on Amazon Prime products. 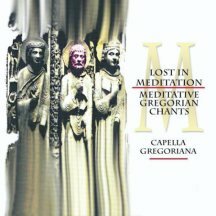 I got my favorite meditation album through Amazon Prime, Lost in Meditation, Meditative Gregorian Chants, but you can order the MP3 or CD here; it's a great gift for chemo patients seeking peace at their treatment sessions. Thousands and thousands of books on every subject imaginable are professionally recorded and sold at Audible.com. There's nothing like a good book to make time pass quickly. You don't have to choose the book; you can get a gift membership for 3, 6, or 12 months. 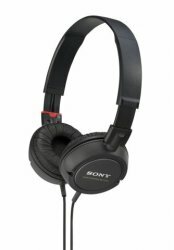 Books, magazines, and podcasts from this site are downloadable to computers, MP3 players, notepads, notebooks, and smart phones. 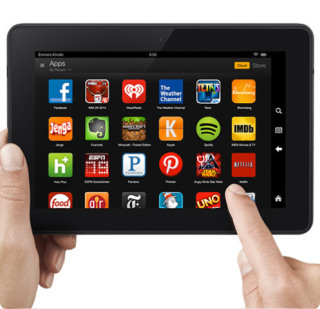 Far from the original Kindle reader, the newest version of the Kindle Fire 7" Tablet provides any entertainment you want, productivity and photo capability. A sharp, bright, vivid screen creates a total environment whether you're taking in a favorite episode of The Big Bang Theory or playing your favorite video game. It's a great value! 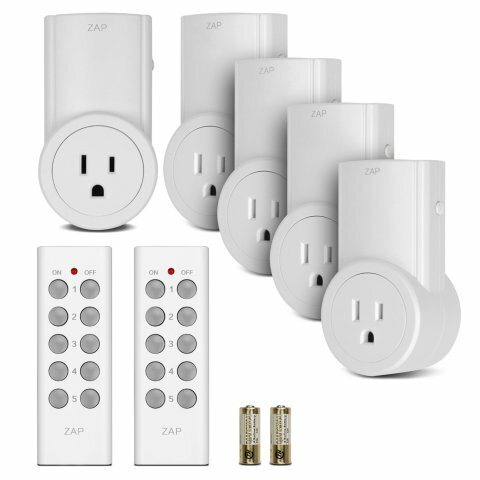 These plug and use light switch devices are terrific. It can make any plug into one where you can turn things on and off with a simple click of a remote rather than having to get up when the patient is not feeling well. It comes with several remote buttons so you can control almost all the devices you need from the bed or sofa. Make sure to also take a look at these mobility aids. If chemo gets rough, these mobility aids can really help make a different in convenience and comfort.